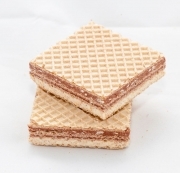 Founded by Otto Beier in 1933 our company is now one of the leading specialist for different kinds of waffles: wafer sheets and cuts, molded wafers cream-filled waffles and wafer crumbs in different sizes. At the moment our manufacturing area is about 30,000 square meter and we produce approximately 400,000 Wafer sheets (22 tons!) per day. These sheets are either used by ourselves for making tasty waffle products or they are sold to other international manufacturers for producing their waffle products. 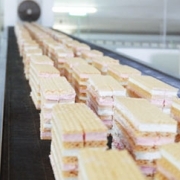 Highest standards regarding quality and taste are the core of our company philosophy. We use only selected ingredients for making our waffles specialities according to different recipes - either our own creations or we use recipes developed exclusively for our customers. During the whole production process we take care for gentle handling and carry out quality tests. Result of this diligence and accuracy: an irresistable taste of fresh waffles! 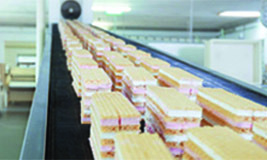 The second successfully growing division of our company is the production of fruit bars, nut-fruit bars and cereal bars. These are made as private label products for well-known trade chains and trademarks in Germany and abroad. Our total range consists not only of products made with conventional raw materials. We are also known as manufacturer of organic and gluten-free products. made according to the specifications for kosher food.